come with a flying jelly sub and a boat. 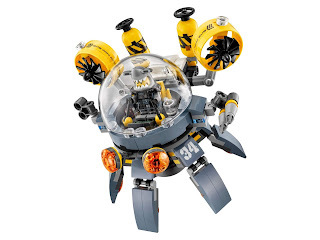 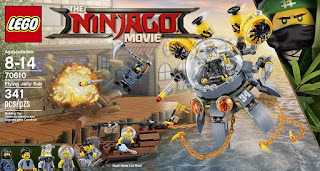 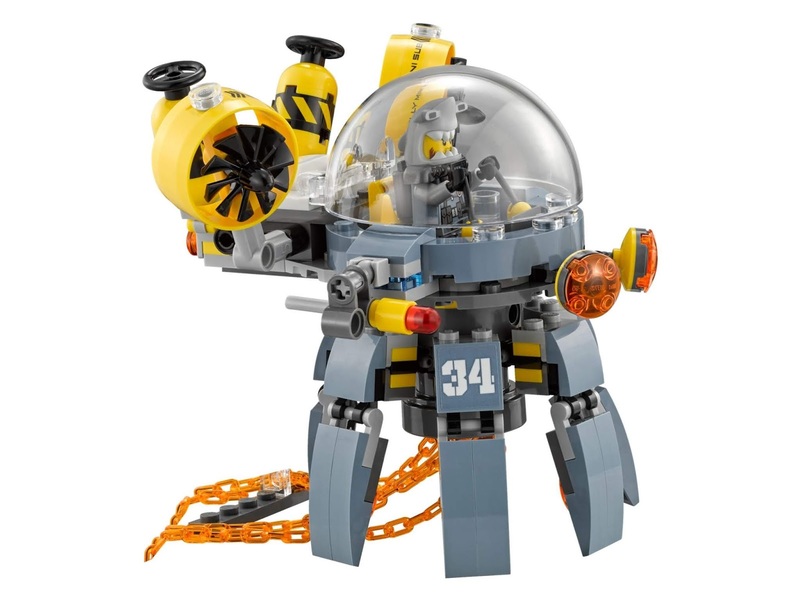 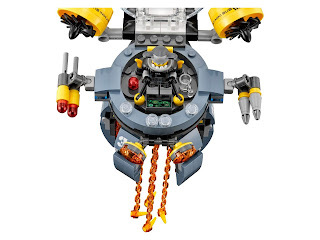 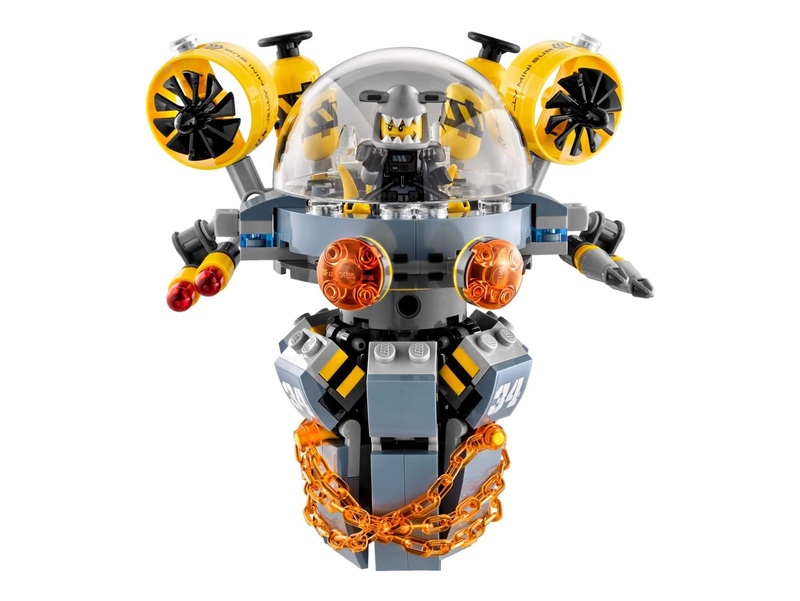 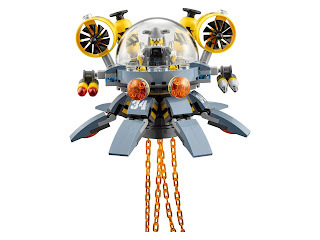 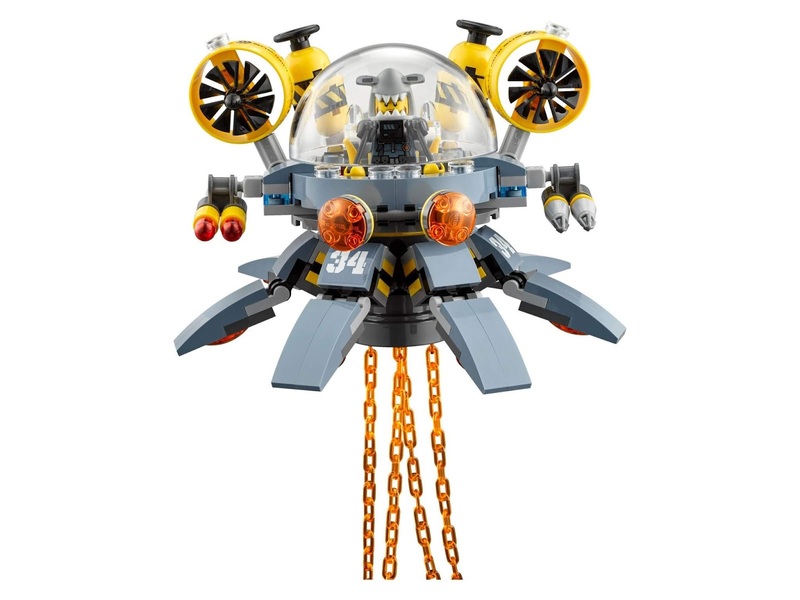 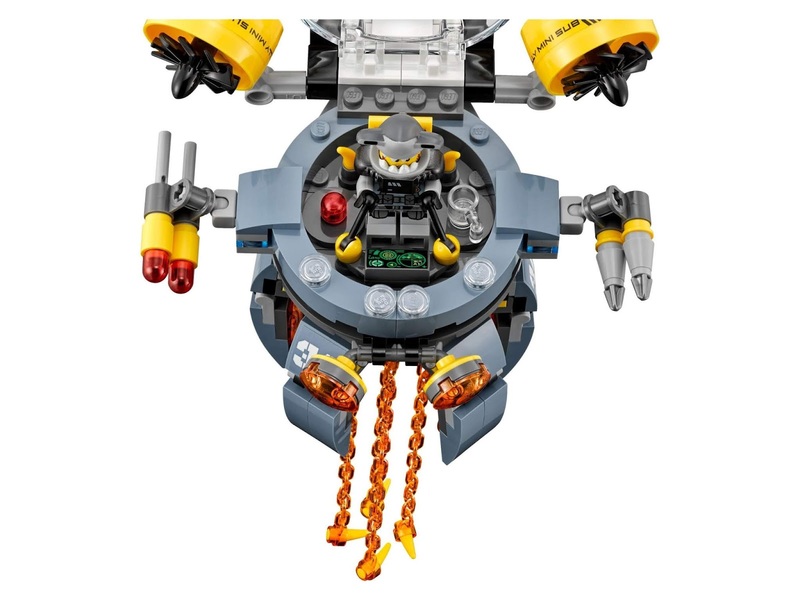 the sub has an openable bubble minifig cockpit with bubble, a detailed dashboard, rotatable legs, 2 flick missiles, 2 spinnable rotors, 2 canisters, swingable transparent orange toxic tentacles and transparent red eyes. 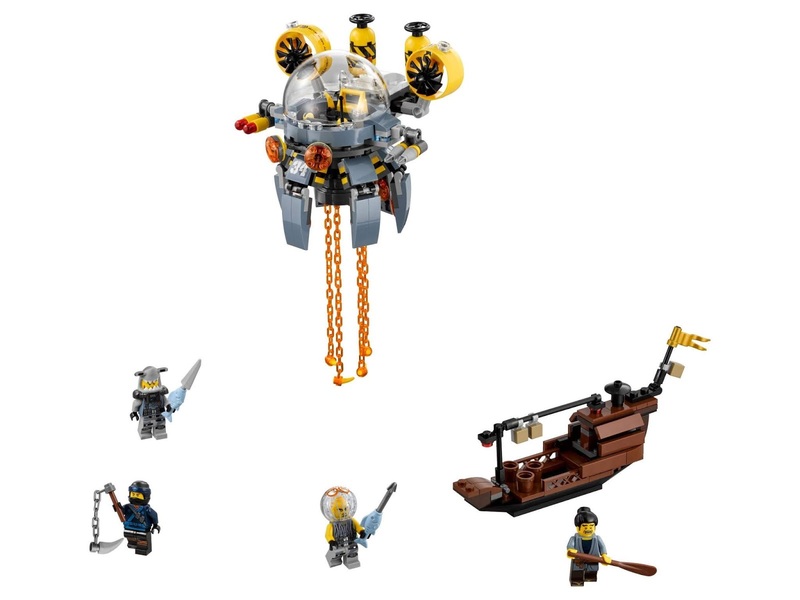 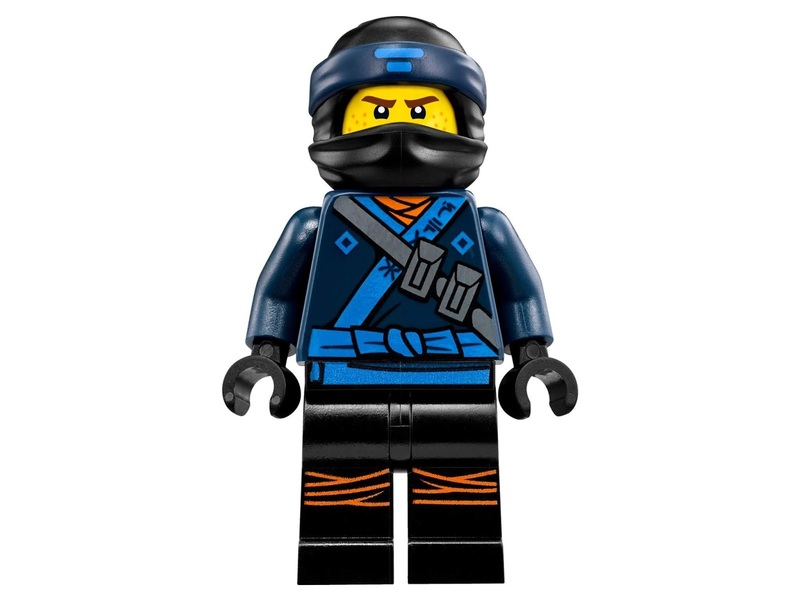 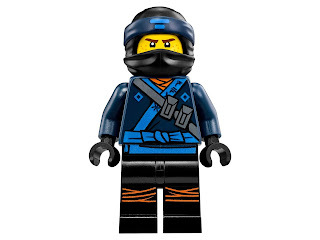 minifigs included a jay minifig, a takuma minifig, a jelly minifig and a hammer head minifig.